Light Bounce Model: MN-GS Material: Silica Gel Compatibilty: for Selens Magnetic Flash Modifier Ideal for use as an on-camera diffuser A omni-directional flash diffuser to transform harsh light into softer light source To save battery power with efficient diffusion Also allows you to insert filters and color correct your flash without additional accessories Durable semi-transparent silicone material that withstands the high temperatures and allows your flash to easily pass through Rubber Band Material: Silica Gel Size: approx. 90 x 45mm . 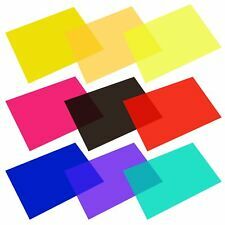 Various colors: these gel filters in 9 different colors, red, yellow, green, blue, purple, orange, pink, grey, fluorescent yellow, each color for 1 piece. Made of high light transmission: these film plastic sheets are made of high light transmission material with lightweight, steady color temperature and low loss. ■ Lambency diffuser spread and soften the light emitted from your flash unit, bouncing off. ■ 1 x Lambency flash diffuser. 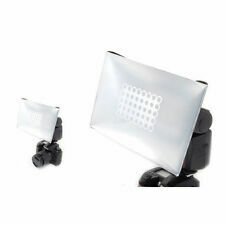 ■ An universal design flash diffuser suitable for different size flashes. ■ With "bowl of light" can diffuse throughout the soft light inside the mask, thereby evenly. Photographers often turn to a flash to help light the scene. The problem is that flash can cause harsh reflections or glare spots or create deep shadows that distract viewers. This little, portable universal external flash diffuser will prevent those problems when using a flash. The bounce diffuser is used to create exposures of even density over the entire surface of film. Use the diffuser by placing it flush against the front of the lens and exposing through it. The light that passes through the diffuser and on to the film will create an even density across the surface of the film. Flash straight on if without our diffuser causes the light to go forward only and creates a harsh shadow behind the subject. The flash with our diffuser installed and tilted at 45 degrees gives a nice soft wrap around of light with a soft shadow behind the subject. 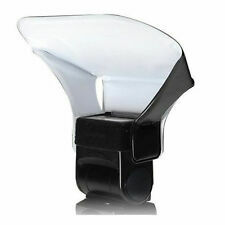 This fits cleanly over the head of your existing flash, no need for cumbersome attachments, hooks. Try us and see the difference. . It reduces hot spots and softens harsh shadows as well. Movo Warranty Policy. If the product has been discontinued, the warranty provider reserves the right to replace it with a model of equivalent quality and function. 2 This Lambency Flash Diffuser is easy to use and will bring you one step closer to that perfect picture. 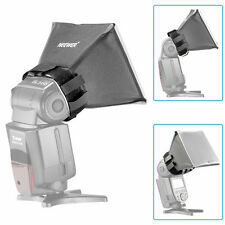 Diffuse and soften the light from your flash unit, producing natural and appealing pictures. 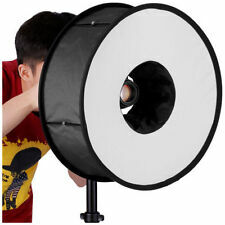 Package included 1PC:Flash Softbox Diffuser Compatible with Canon: 580EX, 550Ex , 540EZ, 430EZ, 420EZ , 430EX, 420EX, 380EX, 520EX ,300TL Nikon: SB24, SB25, SB26, SB28, SB28DX, SB50DX, SB80DX, SB800, SB600 Minolta: 5600HS, 5600HS(D), 3600HS(D), 3500xi, 5400HS, 5400xi, 5200i Sigma: Sigma 500 Series Sigma EF-500DG, EF-500DG Super Sigma EF-500 DG II, EF-500 Super II Contax: TLA 280, TLA 360 Metz: 40-MZ-2, 44 AF-4, 40 AF-4M, 54 MZ-3 , 44 MZ-2, 54 AF-1C, 54 AF 1N, 44 AF-4C, 44 AF 4N, 54 AF-4i, 54 MZ-4, 40 MZ-3i , 54 MZ 3, 54 MZ 4, 36AF Sony: HVL-F32x, HVL-F1000 Light Loss: Approximately 1/2 stop. Dimensions: Folds flat to 12.5cm X 10cm Size: 30*27cm. You'll need a MagGrip in order to magnetize the snoot to a speedlight. 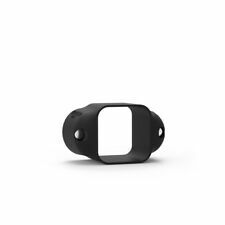 The MagSnoot itself is magnetized and will stick to other magnetic surfaces. PROMASTER SystemPro ReflectaDiscs reflect light to illuminate detail in shadow areas for more dramatic photos. They are available in a variety of sizes and colors. ReflectaDiscs are portable and easy to setup and use. 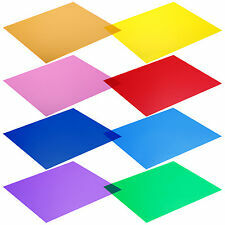 12 pieces Color Gel Filters for lighting effects and color correction. One Set of 12 Colors Filter Kits, Colors Includes: Light Green, Green, Dark Green, Yellow, Light Orange, Dark Orange, Red, Hot Pink, Light Blue, Navy Blue, Wine Red, Purple. 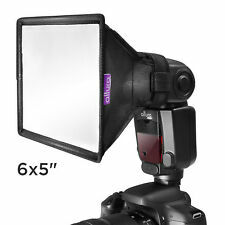 Simply slip the softbox around the front of your flash unit. The diffuser is used to create exposures of even density over the entire surface of film. Use the diffuser by placing it flush against the front of the lens and exposing through it. By diffusing the flash, the softbox creates an even lighting that allows you to capture picture-perfect shots; Converts the harsh light from flash to a softer, diffused light while reducing shadows and softening hot spots. The NEST MiNi is designed to slip over your DSLR pop-up flash. The NEST MiNi softens harsh light, reduces shadows and gives you a beautiful result with just your built-in pop-up flash. Low profile, and weighing in at just 10 grams, you won't even know it's there. 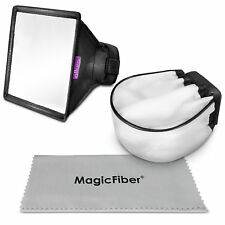 Item features: Ideal for use as an on-camera diffuser A omni-directional flash diffuser to transform harsh light into softer light source To save battery power with efficient diffusion To create the dramatic effects by add the colored filters with magnetic shelf Also allows you to insert filters and color correct your flash without additional accessories Durable semi-transparent silicone material that withstands the high temperatures and allows your flash to easily pass through Item specification: Model:MN-GS Material:Silica Gel Filters:7 Compatibilty: for Selens Magnetic Flash Modifier . It's lightweight, unobtrusive and easy to attach--ideal for any fast-moving shooting situations. Movo Warranty Policy. If the product has been discontinued, the warranty provider reserves the right to replace it with a model of equivalent quality and function. 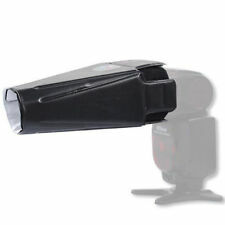 Suitable for:Neewer TT560 TT520 Flash Speedlite. Neewer TT560 TT520 Flash Speedlite. Simple and useful! 1 Flash Diffuser. Soften the harsh flash light and diminish the shadow on your object,make the flash light more balanced and even! The studio was an undisputed success, and Benjamin's visual talents could be seen in wedding, graduation and confirmation portraits around the city. This little, portable universal external flash diffuser will prevent those problems when using a flash. 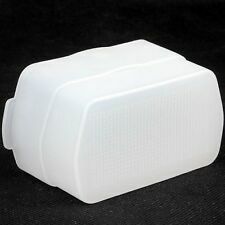 2 x White Flash Diffuser Cap Box for CANON Speedlite 580EX/ 580EX II "US Seller"
Flash Bounce Diffuser Cap Box for CANON Speedlite 580EX / 580EX II. CANON Speedlite 580EX / 580EX II. Eliminate harsh shadows cast behind the subject. Spreads out light source to give soft light effect. For YONGNUO YN565 EX YN560 III YN560 II YN560. For Canon 580EX, 580EXII. 1 Flash Diffuser. 180 Degree Lighting Area -- This softbox use ringlike design and high-quality fabric and rods,which makes bigger lighting area and softer light than normal optical conductor soft box.Soft box front designed with diffuser, the internal with reflective materials. Condition is Used. I also included their soft carry bag (see photo). I upgraded my flash photography units from Canon to Profoto and MagMod does does fit my new units. 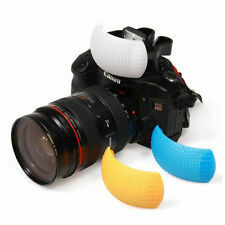 Soft Diffuser for Canon Speedlite 90EX. And NO Velcro is ever required for attaching the units to your flash. Small and compact enough to fit easily into your pocket or gadget bag. Flash straight on without this diffuser causes the light to go forward only and creates a harsh shadow behind the subject. Fits perfectly on the yongnuo YN685. Hard Flash Diffuser for Yn685 Flash. Hard Flash Diffuser for yongnuo yn685 Flash. 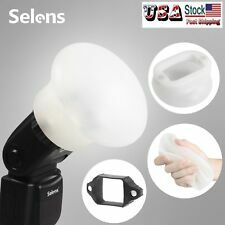 Provides soft even flash illumination. It is easy to use & goes on & off your flash in a second. Nikon's SZ-3TN Incandescent Filter for SB-700 Speedlight is a dedicated filter for the SB-700 speedlight that will balance the light from the speedlight with incandescent light. Manufacturer Part # 4965. The bounce diffuser is used to create exposures of even density over the entire surface of film. Use the diffuser by placing it flush against the front of the lens and exposing through it. The light that passes through the diffuser and on to the film will create an even density across the surface of the film. Flash straight on if without our diffuser causes the light to go forward only and creates a harsh shadow behind the subject. The flash with our diffuser installed and tilted at 45 degrees gives a nice soft wrap around of light with a soft shadow behind the subject. This fits cleanly over the head of your existing flash, no need for cumbersome attachments. .
Can be folded into 1/3 size of the diffuser and received by a small bag, quite portable for carrying. 1 Diffuser. 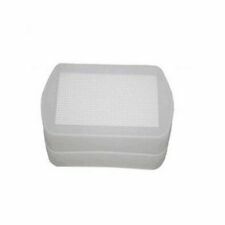 Made of high-quality fabric of the outer surface, touching comfortable and durable. Condition is Used in mint condition. 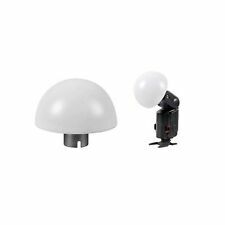 Gary Fong Lightsphere II Kit. Mint condition, clean, looks unused. They fit on my Nikon SB 800's and SB 600's.